New Orleans is famous for many things: its fine restaurants, Dixie and jazz, educational institutions, the French Quarter and the city's annual Mardi Gras celebration. But it is also famous for its role in the history of U.S. coinage. Authorized in 1835, the New Orleans Mint struck both silver and gold coins and proved to be the most durable and dependable Mint in the South both before and after the Civil War. Known as the Crescent City because it was built on a great turn of the Mississippi River in southern Louisiana, the city of New Orleans has a rich culture all its own in the annals of American history. The city was founded in 1718 by the French and named for their current regent, Philippe II, Duke of Orleans. It remained a French colony until 1763, when it was transferred to the Spanish. In 1800, Spain ceded it back to France and in 1803, New Orleans, along with the entire Louisiana Purchase, was sold to the U.S.. In 1815, it was the site of the Battle of New Orleans during the War of 1812 and catapulted Andrew Jackson to national fame and hero status. Two decades later, the city became one of three sites that Congress designated for branch Mints. On March 3, 1835, Congress declared that branch Mints be established at Charlotte, North Carolina, Dahlonega, Georgia and New Orleans, Lousianna. Some of the reasons for establishing these new Mints was that large quantities of unrefined gold, silver and other precious metals had to be shipped overland to eastern commercial centers — a journey made difficult by bandits and other inconveniences. If these robberies helped spur the government to locate a trio of branch Mints in the south, the city of New Orleans wholeheartedly embraced the idea and presented the U.S. Federal government with a prime parcel of land. Located in the city's French Quarter, or Vieux Carre (French for "old square"), it was a grand location for a new Mint facility. William Strickland, who had previously designed the U.S. Mint in Philadelphia, was designated as the architect. The cornerstone was laid in September of 1835 and the building was completed by 1838. When finished, the impressive structure extended 280 feet across the front and stood three stories high. Of the three southern Mints, New Orleans was considered to be the most important because its geographic location at the mouth of the Mississippi River made it the center for trading throughout the Midwest. During this period, more foreign trade was conducted in New Orleans than in any other city in the United States. Establishing a Mint in New Orleans was highly desirable because it could convert foreign coins into U.S. issues. 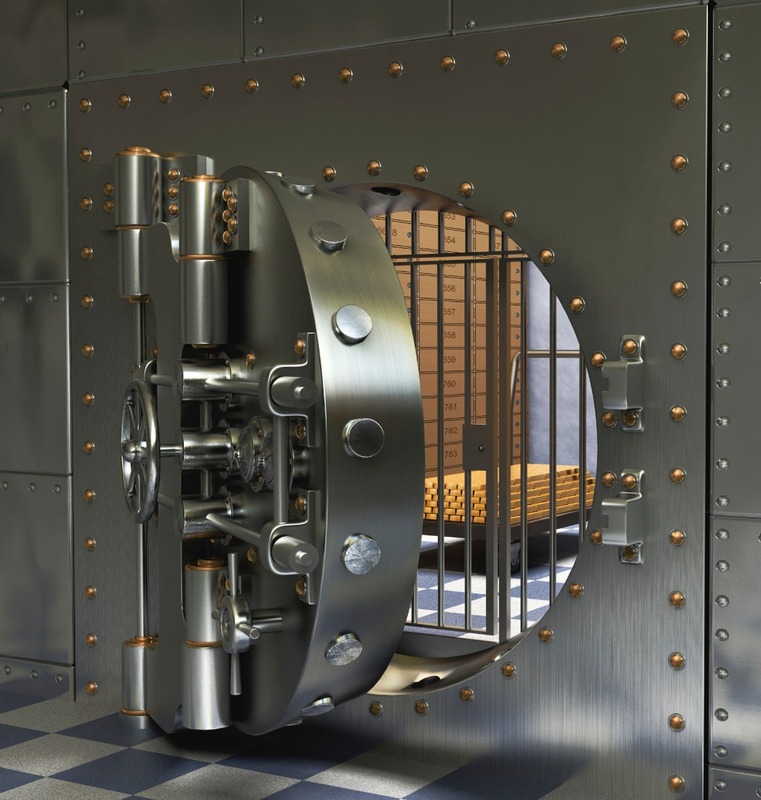 The first coins struck at the New Orleans Mint were 5- and 10-cent pieces with a small number of Proof half-dollars, reportedly numbering about 20 pieces. All the coins bore a distinctive "O" Mint mark. Up to this time, the Philadelphia Mint was the production location for all U.S. coinage. As only one Mint was in operation, there was no need to provide any kind of distinguishing Mint mark. Following the opening of the New Orleans Mint and the other southern branch Mints, identifying Mint marks were given to the branch Mints to denote the place of origin. These new Mint marks not only indicated the manufacturer of the coins, but served to identify and control production from the various Mints. On March 31, 1861, control of the New Orleans Mint went from the state of Louisiana to the Confederate States of America. One of the first acts of defiance by the South, the seizure of the Mint preceded the firing on Fort Sumter by nearly two weeks. Though the Mint struck four half dollars with a special Confederate design on one side, only a small quantity of coins were actually struck in early 1861. All coin production ceased by mid-1861 as dwindling resources prevented the Mint from striking further coinage. On May 1, 1862, Union forces led by Admiral David Farragut recaptured the city. Because the Mint was in such a state of disarray, the idea of minting coins was considered out of the question. 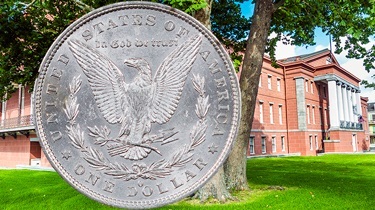 From 1876 to 1879 the Mint served as an assay office and by 1879, coin production resumed with the famous Morgan Silver Dollar that began production that same year. Coin production continued at the New Orleans Mint until 1909, after which production ceased. Today, the New Orleans Mint still stands proudly in the heart of the city and has been restored as a museum. It has been preserved as an 1835 landmark and is the only building to have served as both a U.S. and a Confederate Mint. Besides serving as a monument to U.S. coinage, the Mint building houses exhibits honoring New Orleans Jazz, the city's Mardi Gras carnival and serves as an archive for historic maps and documents. The New Orleans Mint will forever enjoy a unique status among government branch Mints because it is the only U.S. Mint to actually be controlled by three separate governmental bodies. First, the United States of America, then the State of Louisiana when it seceded from the Union prior to the Civil War and, finally, the Confederate States of America. In addition to this unprecedented history, the New Orleans Mint “rose again” following the Civil War, and became the only one of the three southern branch Mints to ever strike coins again.